The MSE Equity Price Index trended positively for the third consecutive day as it added a further 0.37% to 4,485.425 points. The increases in the share prices of GO and HSBC outweighed the drops in MIDI and Medserv while a further five equities closed the day unchanged. Trading activity contracted sharply and amounted to just €0.14 million compared to €0.59 million on Wednesday. The most active equities were GO, BOV and MIA while volumes in all other equities were trivial. GO plc advanced by 2% to its highest level since mid-September 2006 of €4.12 on total activity of 12,850 shares. On Wednesday, BMIT Technologies plc, which is GO’s data centre and cloud services subsidiary, issued a prospectus in relation to the Initial Public Offering of a total of 99.8 million ordinary shares and representing 49% of the company’s entire share capital. The prospectus explained that 79.3 million shares have already been allotted to a number of financial intermediaries, leaving 20.5 million shares available for the general public offer. The shares of BMIT Technologies plc are expected to be admitted to the Official List of the Malta Stock Exchange on February 15, 2019 and trading is expected to commence on February 18, 2019. HSBC Bank Malta plc regained the €1.81 level (+4%) albeit on just 3,029 shares. The bank is due to publish the financial results for the 2018 financial year on February 19, 2019. Low trading activity also took place in the equities of MIDI plc and Medserv plc. MIDI tumbled 10.4% to the €0.60 level while Medserv moved back by 3.6% to the €1.07 level. 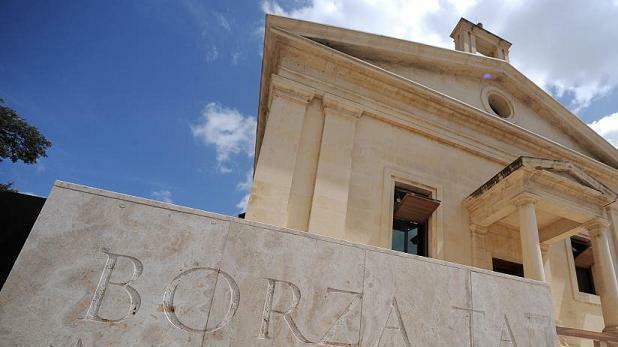 Meanwhile, Bank of Valletta plc maintained the €1.295 level after recovering from a new multi-year low of €1.28. A total of 23,500 shares traded. Malta International Airport plc traded unchanged at the €5.90 level across 4,600 shares. The airport operator is soon expected to publish its 2018 traffic results as well as its passenger and financial forecast for 2019.
International Hotel Investments plc (€0.615), Malita Investments plc (€0.86) and PG plc (€1.37) all ended flat on insignificant volumes. The RF MGS Index moved higher for the first time in five days as it rebounded by 0.38% to 1,094.907 points. Bond prices surged as yields tumbled after the US Federal Reserve yesterday published the minutes of its latest monetary policy meeting. These showed growing concerns among Fed rate setters and indeed “many participants expressed the view that, especially in an environment of muted inflation pressures, the committee could afford to be patient about further policy firming”.